Many medical doctors and others do not believe in nutritional balancing because they simply cannot believe that giving a similar program to most people can help correct many varied health conditions. In fact, this is one of the major criticisms I hear regarding nutritional balancing. This article may help explain why we set up the programs as we do, and why they are so effective for many health conditions. Those who say we are crazy to recommend similar programs to everyone, and that they cannot work for so many conditions, are generally doctors and others who offer “remedy-based” healing programs. The way these work is that one first identifies a “disease entity” such as arthritis or diabetes. Then one suggests remedies for that specific disease. Since all diseases are different, the remedies are also different. So these doctors and nutrition consultants cannot imagine giving the same or a similar program to everyone. That is basically why they think we are crazy. Even holistic practitioners that advertise that they do “functional medicine” have the same critique of nutritional balancing. Functional medicine just means they assess body function, often in addition to looking for diseases. This might include testing the hormones, testing the vitamin and mineral levels, testing the amino acid levels, testing organic acid levels, and so on. The reason for their critique is that they, too, are “remedy practitioners”. This means they usually just give remedies to correct the body functions they assess. If a mineral is low in the blood or hair, for example, they supplement more of that mineral, or perhaps recommend eating a food high in that mineral. If a hormone tests low, they give a replacement hormone, and so on. By the way, we call that method replacement therapy. It is the way 90% or more of the doctors who offer hair mineral testing use the test. However, Dr. Paul Eck realized very early in his research that this method of using hair testing works very poorly. When I began offering nutritional balancing to clients 35 years ago, I soon realized that, indeed, a similar program does help most health conditions. This was very strange for me, but it is true. So I set out to figure out why. The exact reason why NB works on many conditions, and why, in many cases, we do not even need to know a person’s symptoms or health conditions, may not be easy to explain. One way to describe it used on this website is Etheric Reset. In simple terms, we are resetting the body and moving it back toward complete health and well-being – physically, mentally, emotionally and even spiritually. As we do this, most health conditions, including mental and emotional health conditions, disappear on their own. Another way to describe what we do is called Creation Science. I have not written about this, but it is critical to understanding nutritional balancing. Creation science means that we apply methods that are used in the birth and creation of a human being to rebuild the body and brain. This means that everything we eat and take and do must help make the body truly more yang in macrobiotic or Chinese medical terminology. For example, raw food, smoothies and vegetarian diets have definite benefits. However, they all make the body much more yin, so we avoid them. This means that everything in nutritional balancing is aimed at making the body more parasympathetic. For example, this is why we do not suggest much exercise. No matter what benefits it has, it makes the body more sympathetic and less parasympathetic. 3. Down direction (from the head to the feet). Everything in nutritional balancing must cause subtle energy to flow downward, that is, from the head to the feet. For example, some foods such as fruit, and some supplements such as Betaine HCl and pepsin, have benefits. However, they make the body’s subtle energy or chi flow upwards. Also, the Roy Masters meditation, but not most other meditations, moves energy downward forcefully. That is why we use that one, and no others. 4. Up and down motion of the etheric body. Everything in a nutritional balancing program should enhance the slight up and down motion of the etheric energy field or subtle body. Most people cannot see this, but I am told it is important. 5. In and out movement of the etheric body. 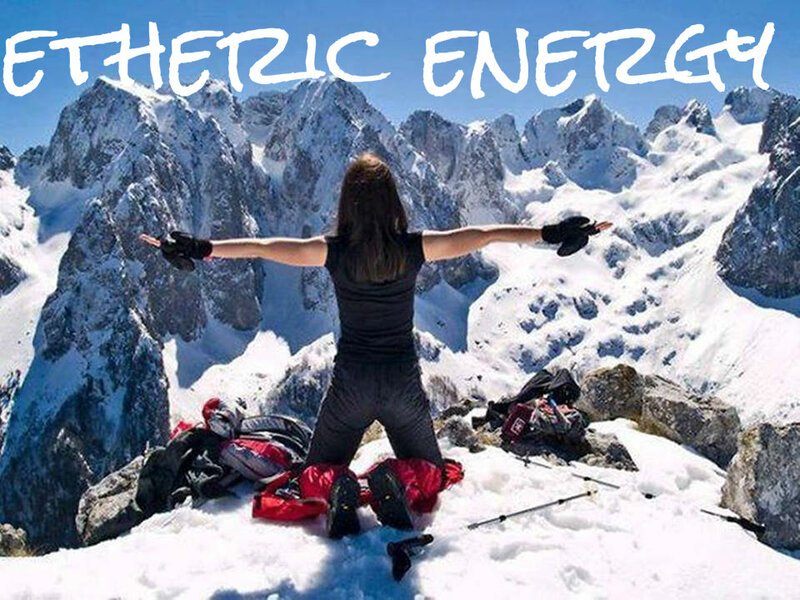 Everything in a nutritional balancing program must enhance the subtle back and forth motion of the etheric energy field or body around a person. This is also very subtle and not seen by most people, but important. To learn more about Creation Science, please read Yin and Yang Healing, The Autonomic Nervous System, and Downward Moving Energy And Healing, on this website. So remember, when you have your doubts that nutritional balancing must be bogus because we give similar programs to everyone, save the supplements, which varies from client to client, realize that you are still thinking in terms of remedy science. It is a different paradigm, as they say, and it makes all the difference. At the end, you need to decide whether you wish to only have a symptom removed for a while or wish to have your symptoms gone for good.